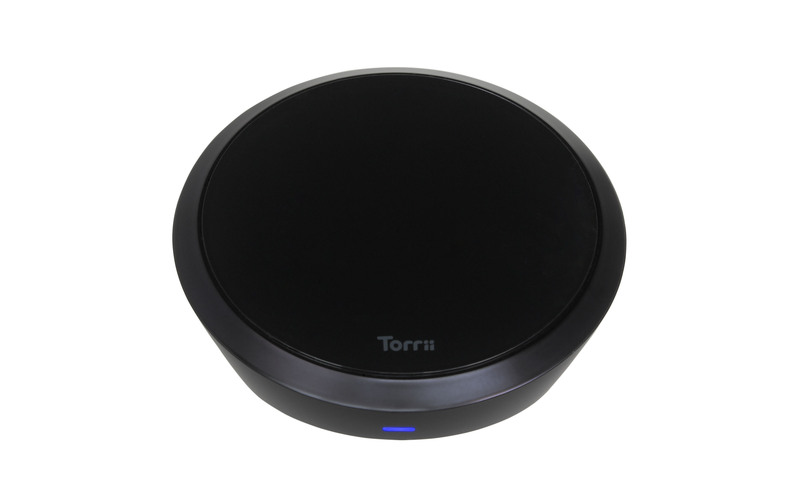 • Qi certified – works with all Qi-enabled devices. 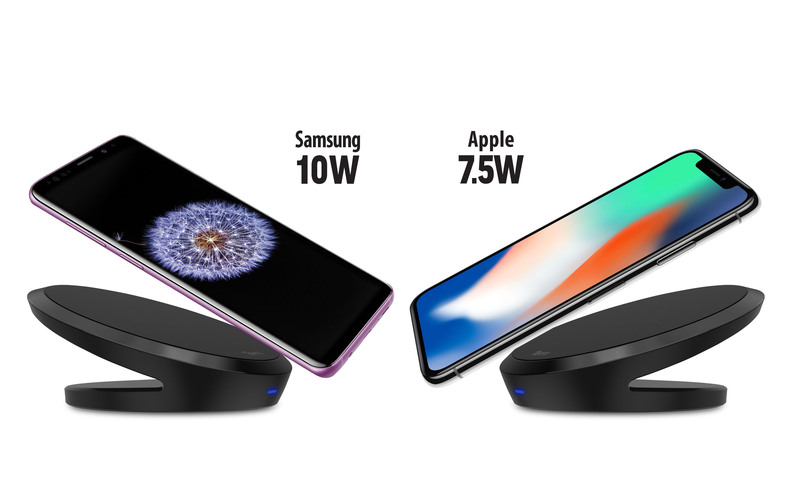 • *Advanced wireless charging technology delivers fast charging for both Apple and Samsung devices, up to 7.5W for iPhone X, 8, and 8 Plus, and up to 10W for Samsung Galaxy S9 / S9+ /Note 8 / S8 / S8+ / S7 / S7 edge / S6 edge+ / Note 5. 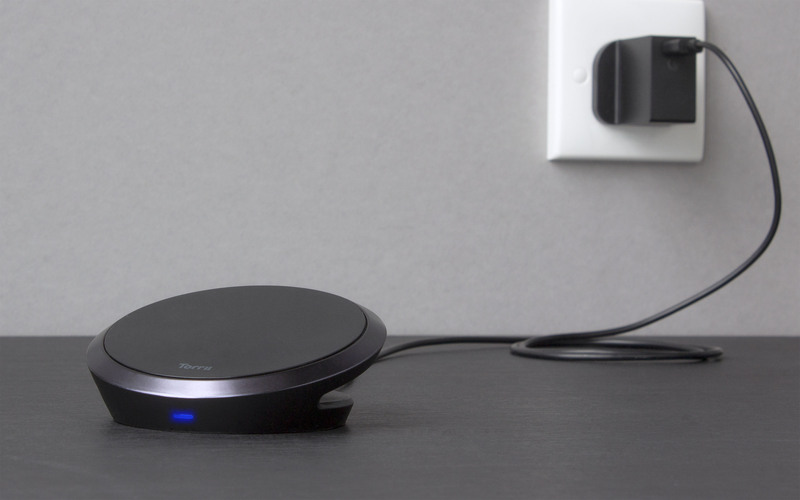 Up to 2x faster than traditional wireless chargers. 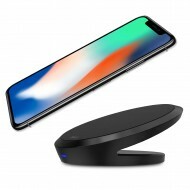 • Qualcomm Quick Charge 3.0 AC Adapter is included. 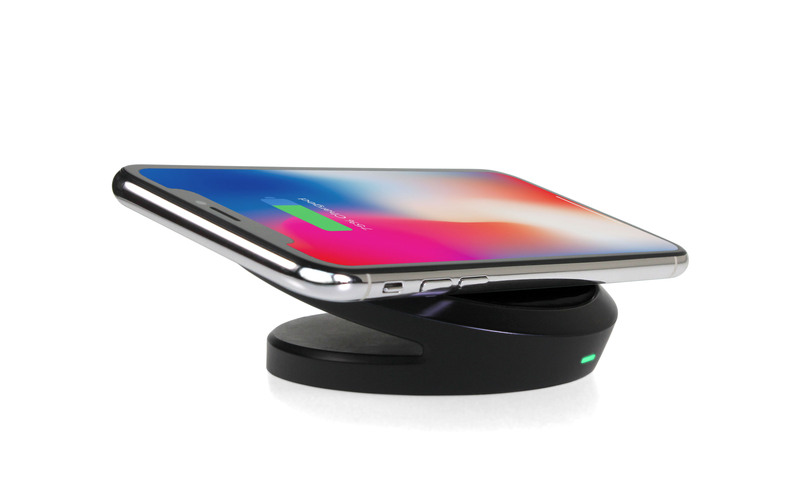 • Angled charging platform design: keeps your device at a viewable and useable angle while charging; and provides portrait or landscape orientation viewing options for web browsing, Face ID or watching movies. 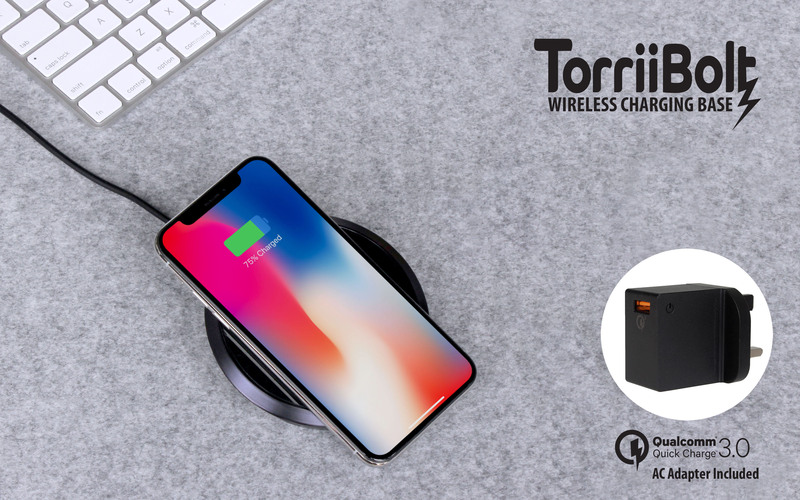 • Advanced safety circuitry prevents over-charging, over-heating, over-discharge, over-output current and provides short-circuit & foreign object protection. 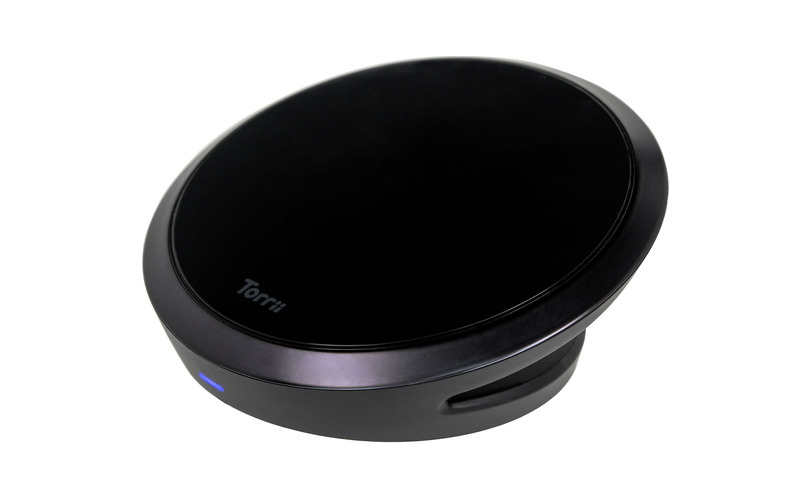 * For 7.5W/10W fast wireless charging mode, a QC 2.0/3.0 standard power adapter must be used for the power input. 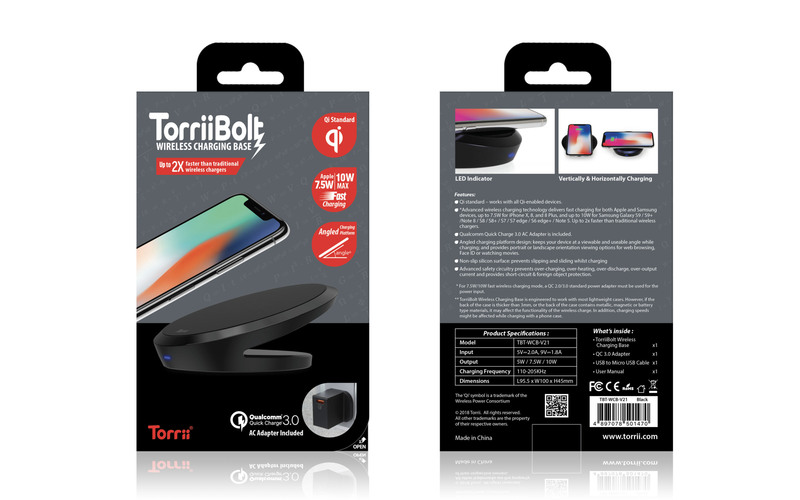 ** TorriiBolt Wireless Charging Base is engineered to work with most lightweight cases. 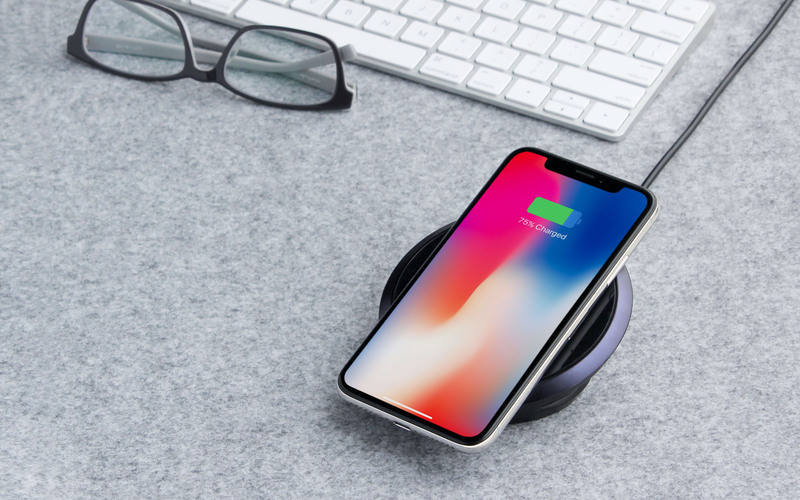 However, if the back of the case is thicker than 3mm, or the back of the case contains metallic, magnetic or battery type materials, it may affect the functionality of the wireless charge. 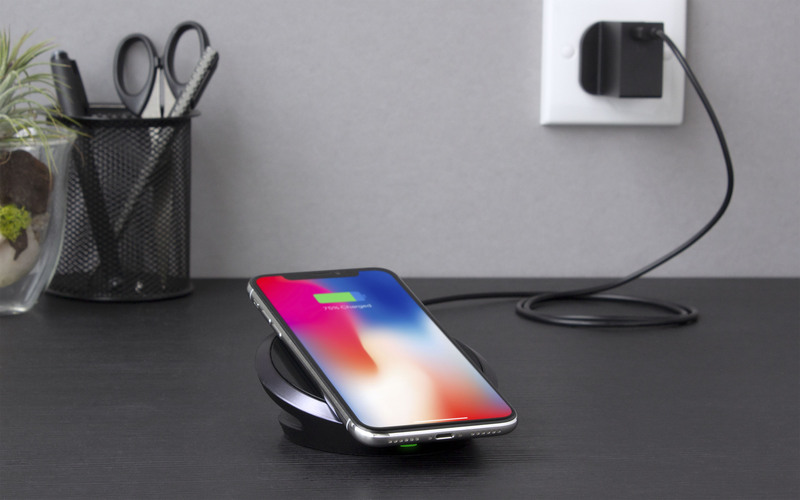 In addition, charging speeds might be affected whilst charging with a phone case. 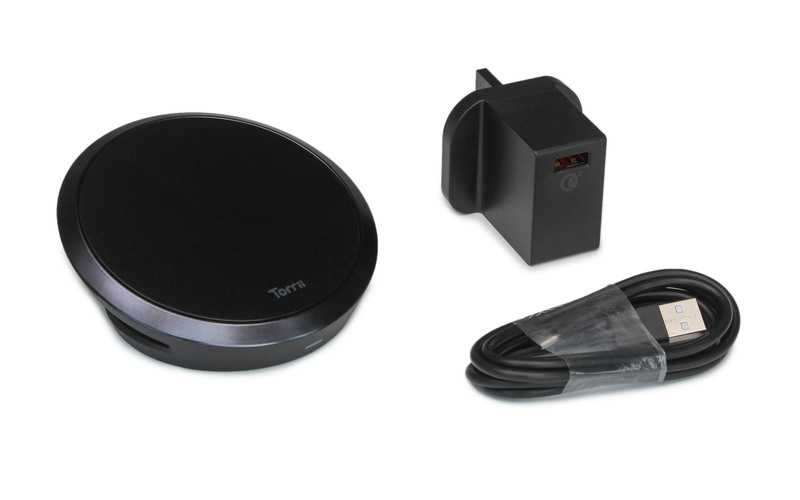 Features: • Qi certified – works with all Qi-enabled devices. 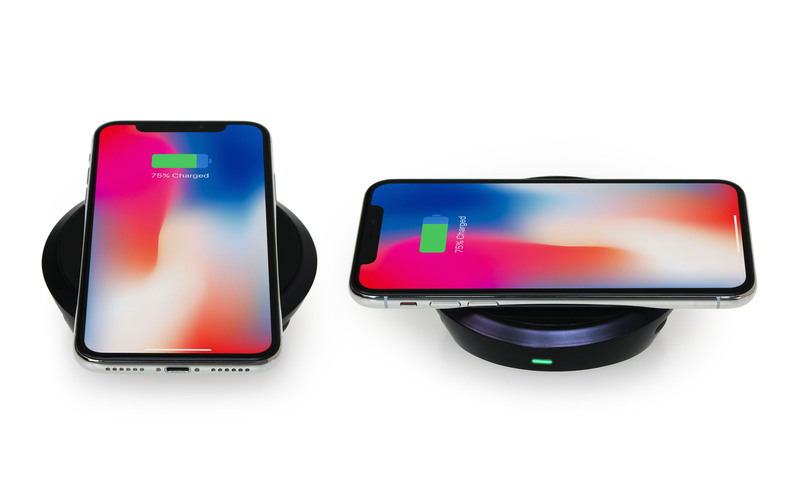 • *Advanced wireless charging techno..